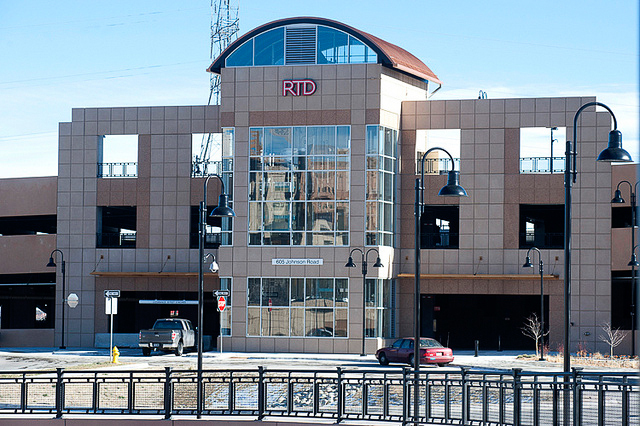 The Golden RTD parking structure serves as the western terminus of the W-Line of the RTD Light Rail System. Keeping with the theme of the Jefferson County Judicial Center, the architectural precast maintains the colors, acid-etching, and exposed aggregate textures of the existing Jefferson County Judicial Center campus. 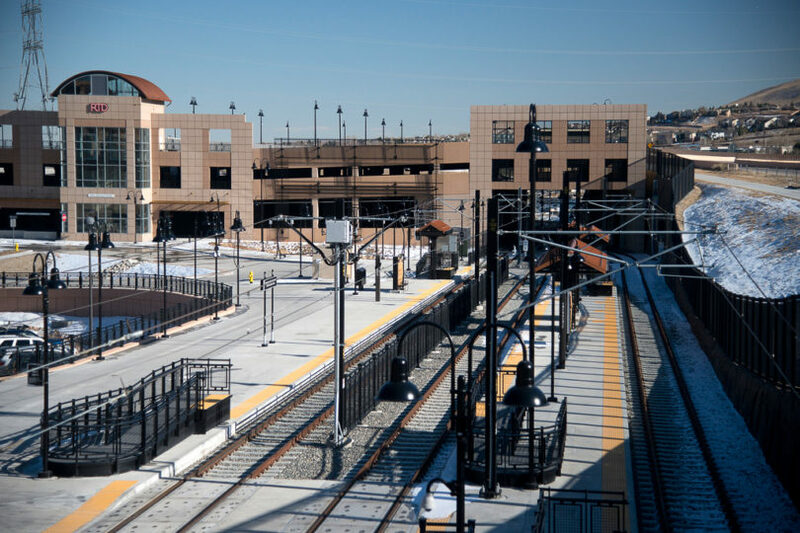 At the south end of the structure, the multi-color precast framing panels create a tunnel for the light rail train to pass through to reach the boarding platform. The 250,000 square foot parking structure includes three levels designed to accommodate more than 800 vehicles. Configuration of the structure is a four bay side-by-side with a central core consisting of a two bay wide ramp. Precast framing components include tees, beams and columns with K-frames, hammer-head shear walls for lateral stability, and a load bearing architectural exterior. Electrical systems include: temporary, sight electrical/site lighting, lighting and controls, distribution, fire alarm, photovoltaic, electrical vehicles, security system, emergency and voice raceway system, and grounding.